Gunes Sevinc joins us to speak about the study Common and Dissociable Neural Activity After Mindfulness-Based Stress Reduction and Relaxation Response Programs. I often hear or read in the media about how mindfulness is about relaxation. If you’ve taken a secular mindfulness program, you may have experienced for yourself how they are unique and distinct from relaxation-centric interventions. But is there a measurable difference when we also read about how mindfulness is no different than taking a vacation? Yes, there is, and our guest today helps us learn about those measurable distinctions. 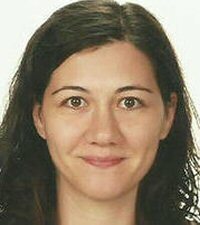 Gunes Sevinc is a postdoctoral research fellow in the Department of Psychiatry at Massachusetts General Hospital & Harvard Medical School. Her PhD dissertation focused on neural networks associated with moral cognition, especially those involved in the detection of morally relevant stimuli. Her current research interests include the relationship between mindfulness meditation and moral cognition. She is specifically interested in the structural and functional changes associated with mindfulness practice as they relate to moral behavior and prosociality. Currently, she is utilizing multivariate neuroimaging analysis methods to investigate the effects of mindfulness practice in improving cognition.